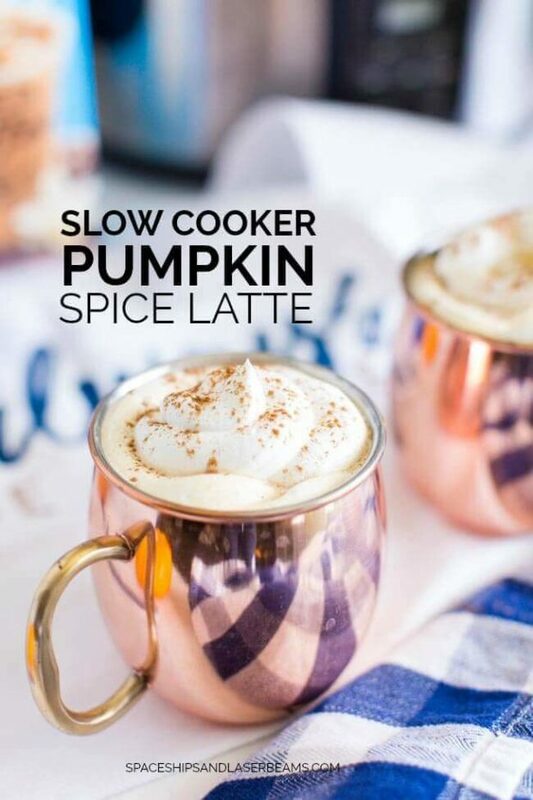 Wake up the day with Slow Cooker Pumpkin Spice Latte. Want to wow those holiday guests as soon as they open their eyes? 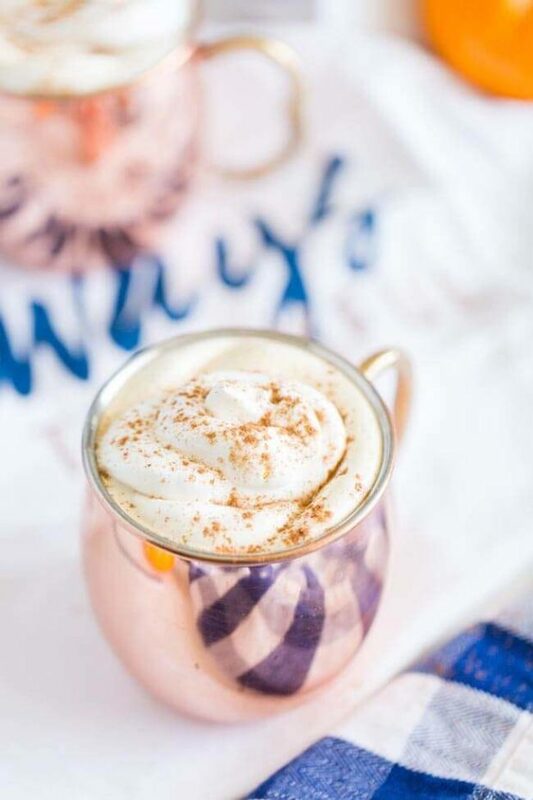 Slow Cooker Pumpkin Spice Latte is a treat to wake up to! Not only does it smell and taste amazing, it’s a great way to energize the morning. Mmm…coffee! 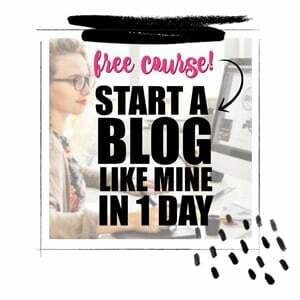 Thanks for jump-starting my day and for sponsoring this post Mirum. French toast, eggs Benedict, quiche Lorraine. Some mornings need to start with a huge breakfast but some mornings…I.JUST.CANNOT. This is especially true during hectic holidays. And when you have guests who say they “really don’t eat much for breakfast” but you don’t want to send them into the world empty, a great cup of latte helps you both feel better about the day. 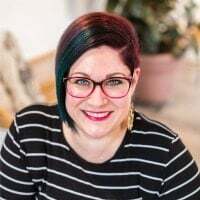 The delight of coffee-pumpkin-spice aroma is a perfect way to invite everyone to the morning and since this is so easy to put together, you can stay under the covers just a little bit longer, too. All you need to do stir up hot water and instant coffee. Then add pumpkin, cinnamon, nutmeg, and International Delight French Vanilla Creamer. 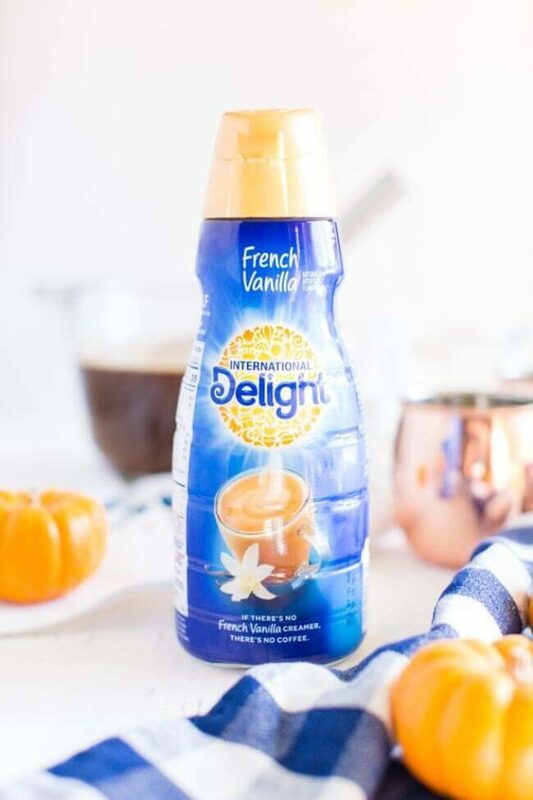 International Delight French Vanilla Creamer has a way of making your homey cup of coffee into something creamy inspired by chic Paris cafes, which makes you feel like the hostess with the most-est! Pour this aromatic beverage into your slow cooker. Let it simmer and scent the air with the best wake-up call. And if you’re like me, you’ll still want to offer a little something to go along with that cup of latte. 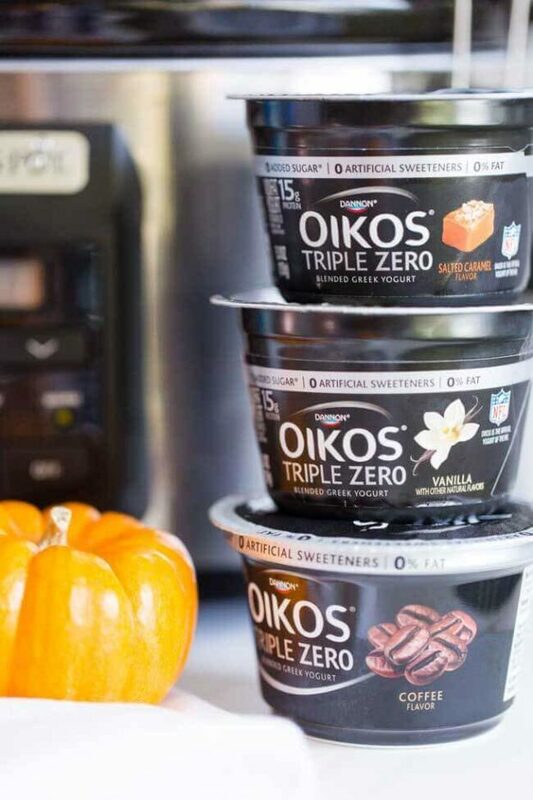 Set out a few containers of Dannon Light & Fit Greek Yogurt with Zero Artificial Sweeteners. 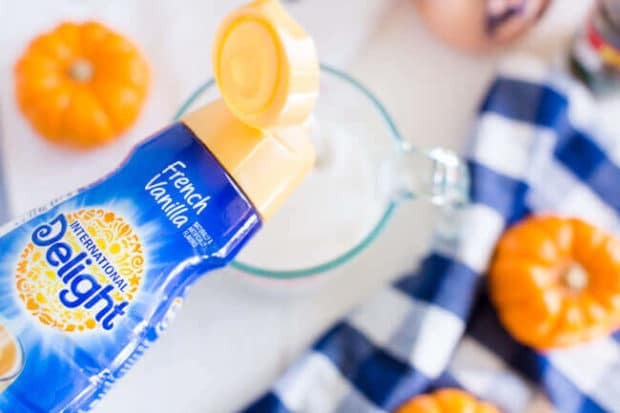 Their smooth, delicious yogurt comes in a ton of flavors and it adds a nutritious boost to any morning ritual. 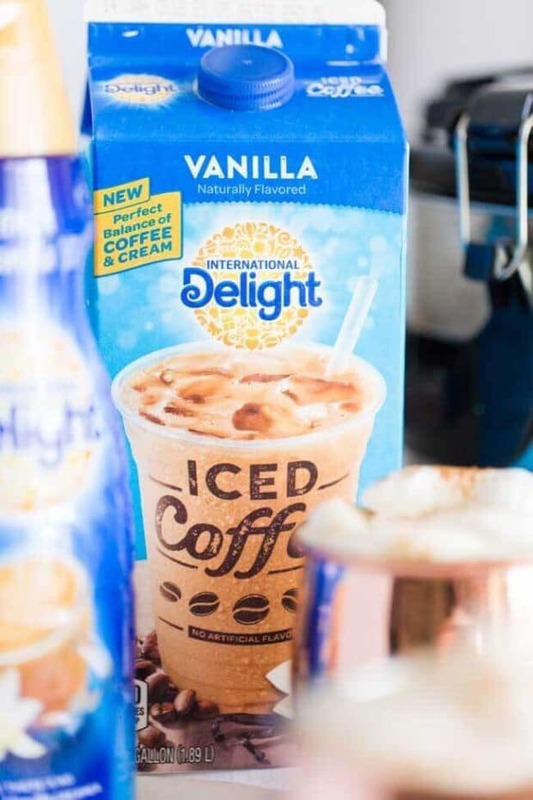 Another potential wake-up call, especially if you live someplace warm like we do, is serving International Delight Iced Coffee. It’s 100% premium Arabica coffee. Just pour it over ice and you’ve got a perfect balance of coffee and cream and a very easy beginning to the day’s activities. Ho-ho-ho! I might add these simple delights are not only for morning sleepy heads. They are great energy boosters anytime—the perfect pick me up—for guests and hostess. 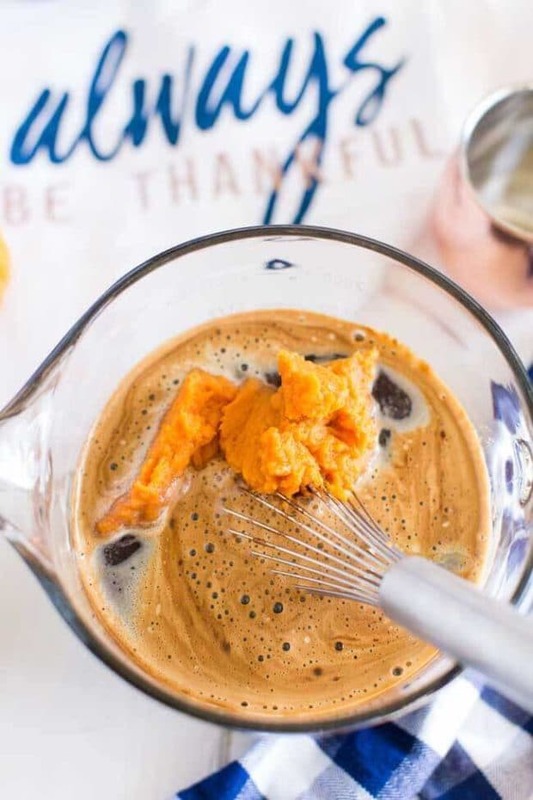 Pull out your slow cooker and get ready to wow everyone with this yummy pumpkin spice latte! 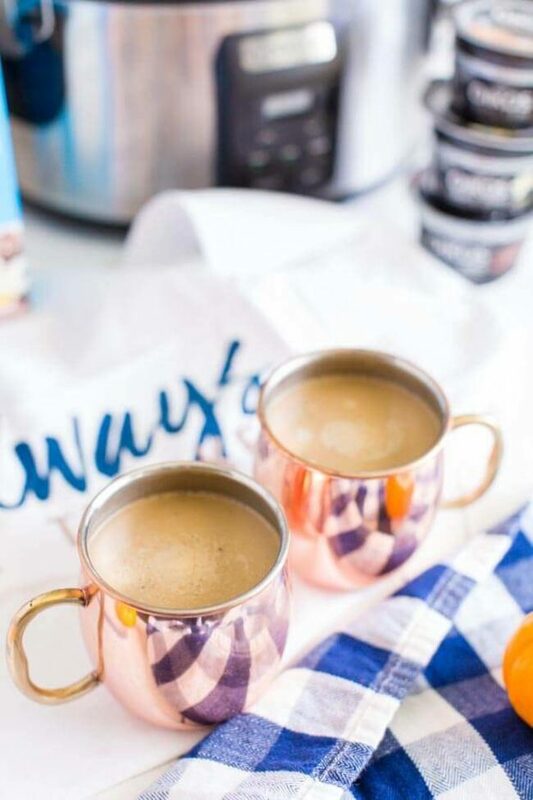 Easy, flavorful and amazing this slow cooker latte with pumpkin spice will be a favorite hot drink for you. Note: I mixed ingredients in a separate bowl then added it to my slow cooker. 1. In a large bowl, pour water and instant coffee. Stir to dissolve. 2. 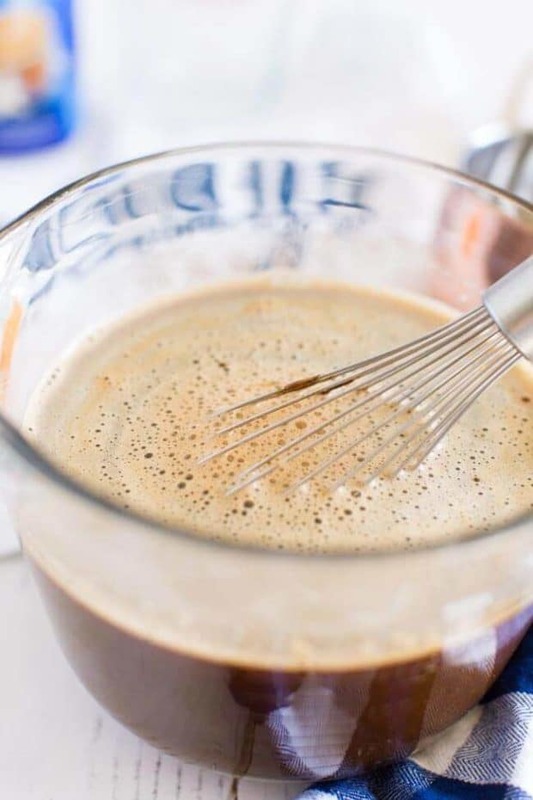 Gently whisk in pumpkin, coffee creamer, cinnamon, and nutmeg. 3. Transfer to a slow cooker and cook on low for 45 minutes. 4. Serve with fresh whipped cream; sprinkle more cinnamon on top. I love everything about this recipe! 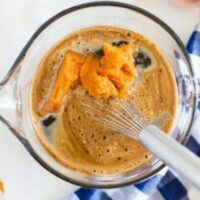 Slow cooker, pumpkin and coffee – what heaven!